The LED lamp Balad consists of a diffuser and a handle made of lacquered aluminium. It is rechargeable thanks to a USB cord and can be set up without a cable anywhere in the garden, on the patio or balcony to provide light on a balmy summer night. Three intensity levels, regulated with the on/off switch, create the right atmosphere. 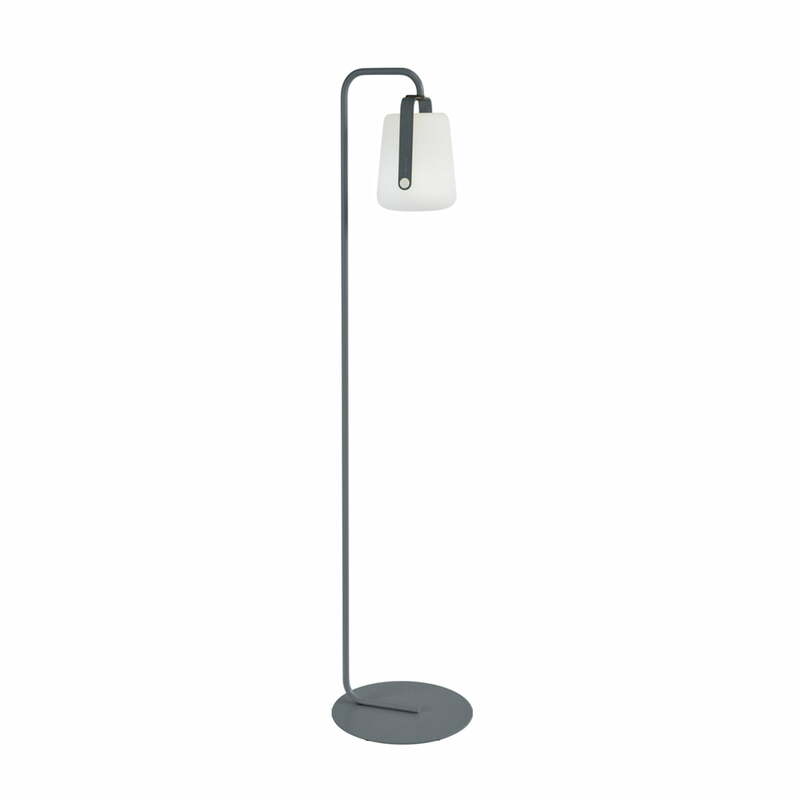 Thanks to the handle, the lamp is easy to transport and extremely flexible. 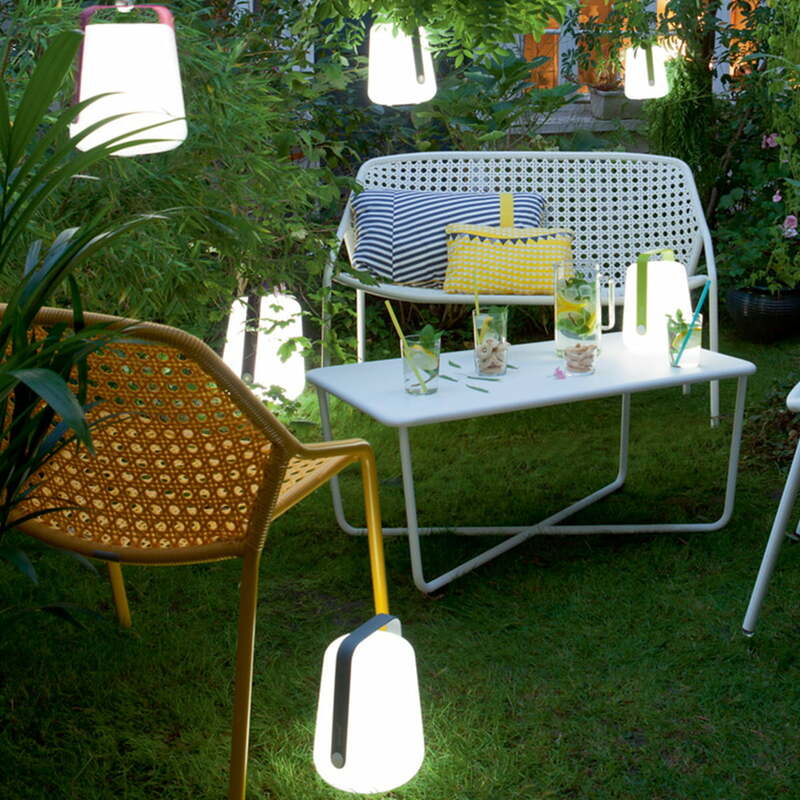 Put it on the table, next to the entrance of the garden or turn the lamp into a pendant light. The idea behind Balad is to create your own light. Choose the size and colour, decide whether to place it or hang it, make it into a lamp for the house or take it with you for a beach party. 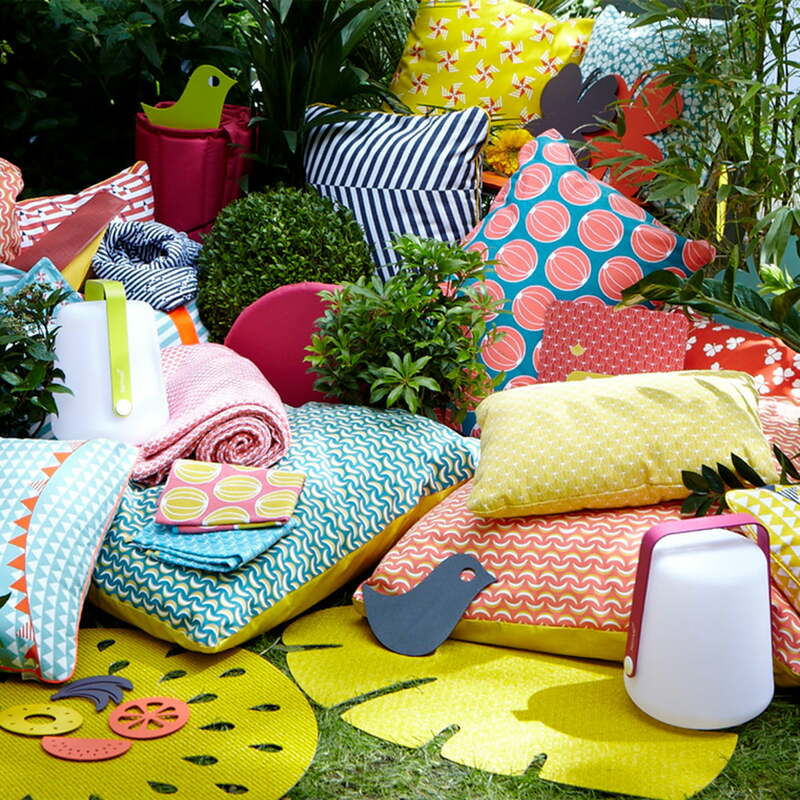 I wanted Balad to be a sensitive object, and, just like Fermob, simple, inspiring and free. 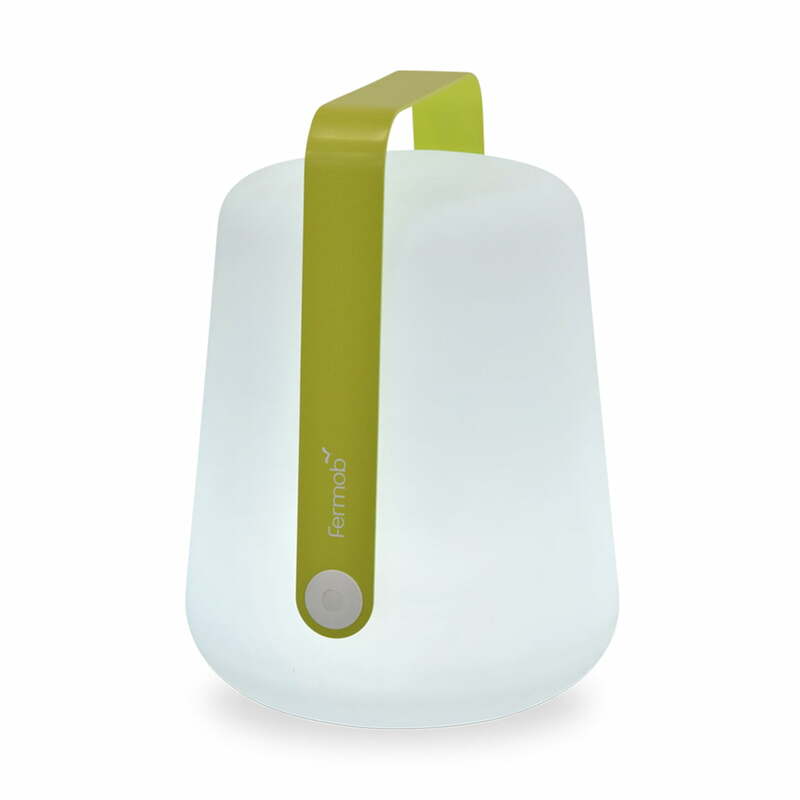 Individual product image of the Balad battery LED lamp H 38 cm by Tristan Lohner for Fermob in the colour verbena. 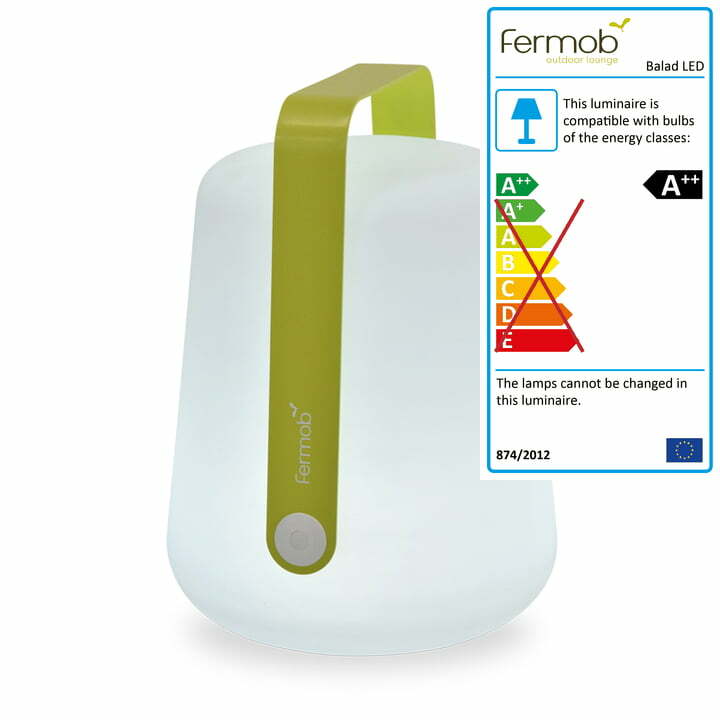 The rechargeable Lamp with LED technology was designed for outdoor use. 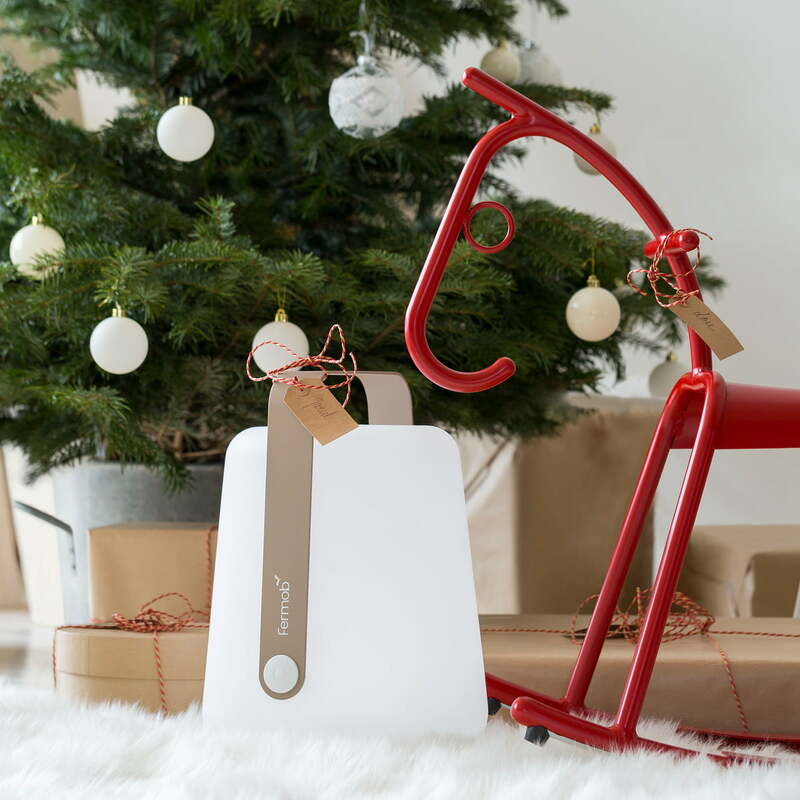 The Adada rocking horse and the Balad battery LED light by the brand Fermob delight thanks to its simple and absolutely timeless design both large and small. The Balad LED Lamp consists of a diffuser and a handle made of lacquered aluminium. 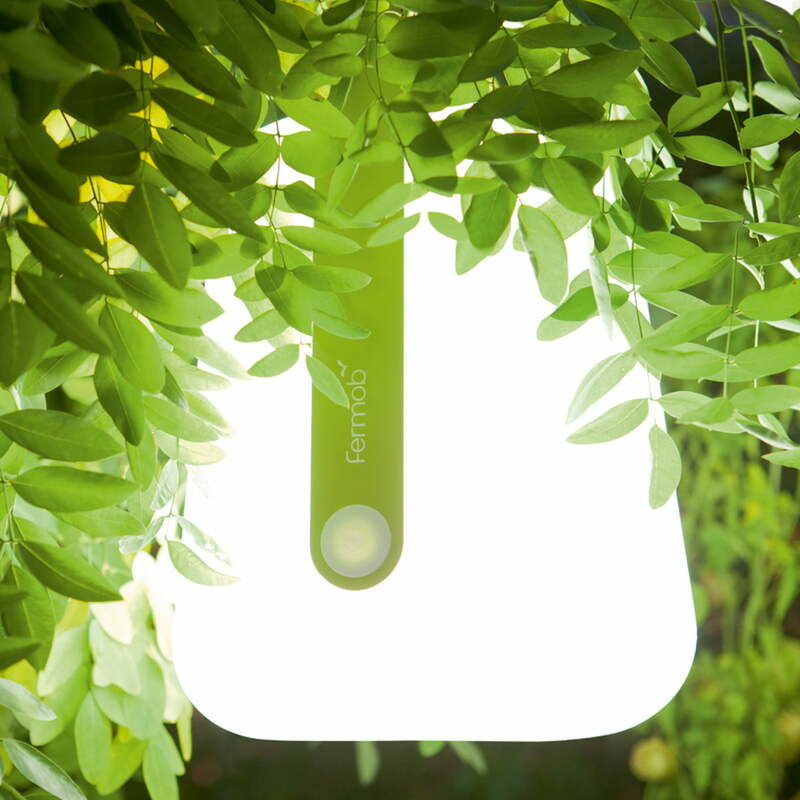 It is rechargeable and can wirelessly set up everywhere in the garden, on the terrace or the balcony to provide light on a balmy summer night.